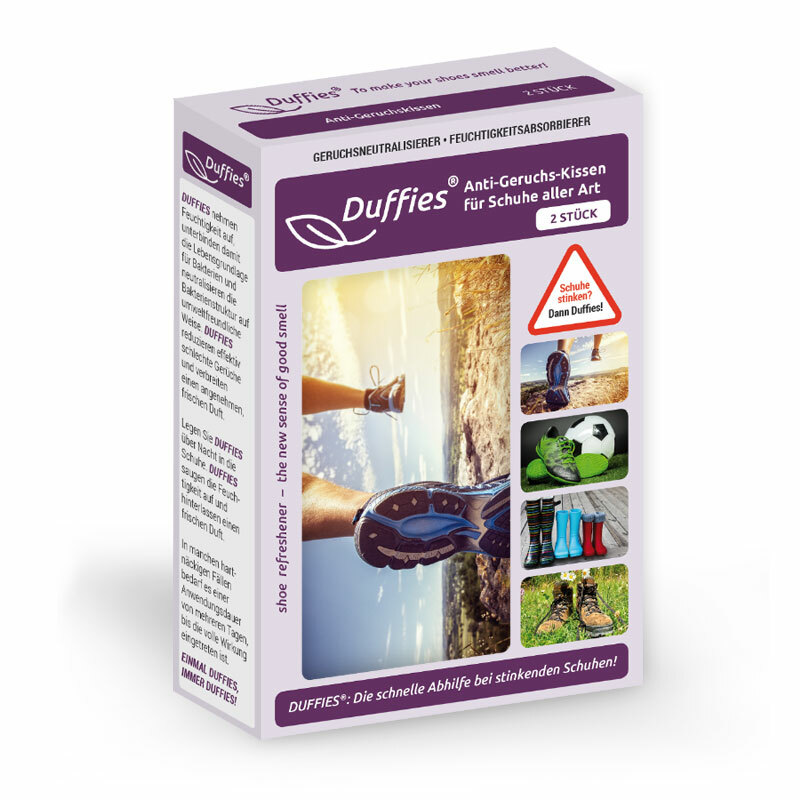 Duffies – Anti-Geruchs-Kissen für Schuhe. 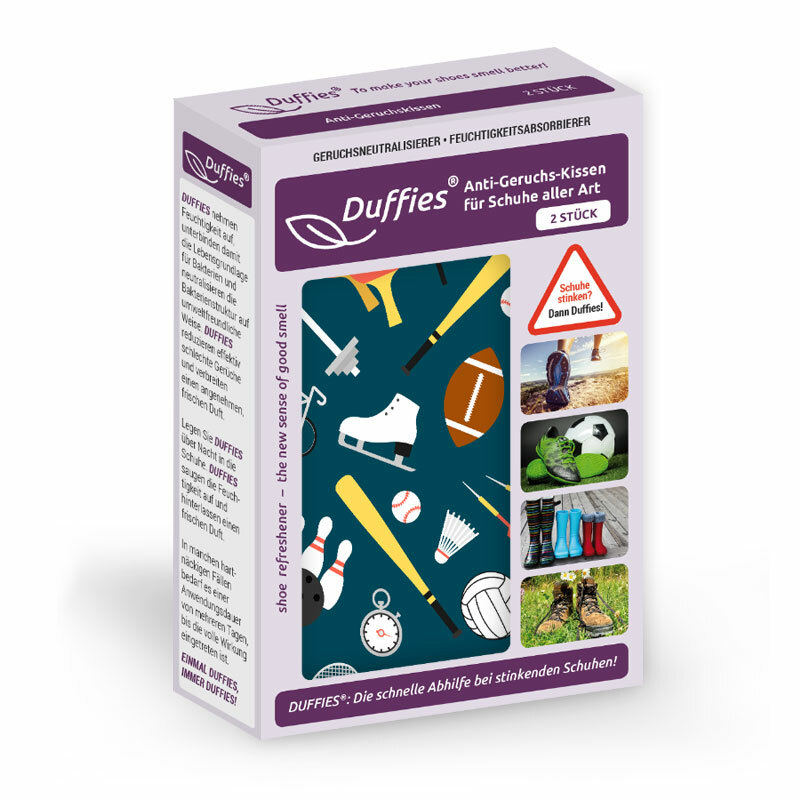 DUFFIES shoe refreshener: A quick & effective elimination of smelly shoes! 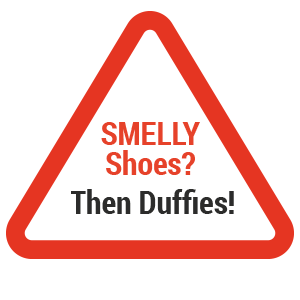 Shoe Freshener & Deodorizer • ODOR NEUTRALIZER • MOISTURE ABSORBER • without CHEMISTRY! 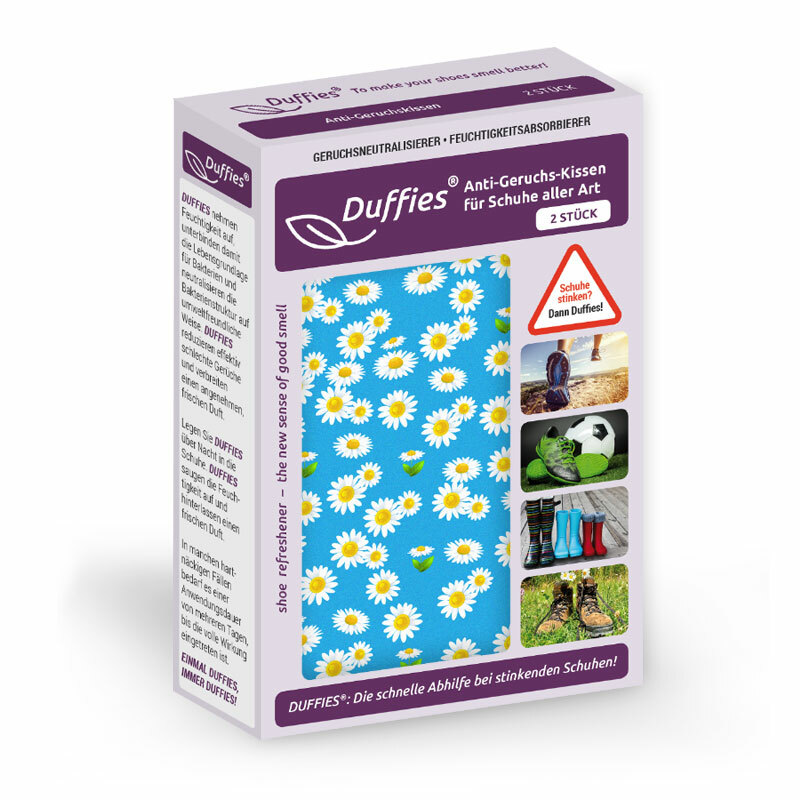 HYGIENIC FRESH with pleasantly scented DUFFIES. Moisture absorber with natural filling! 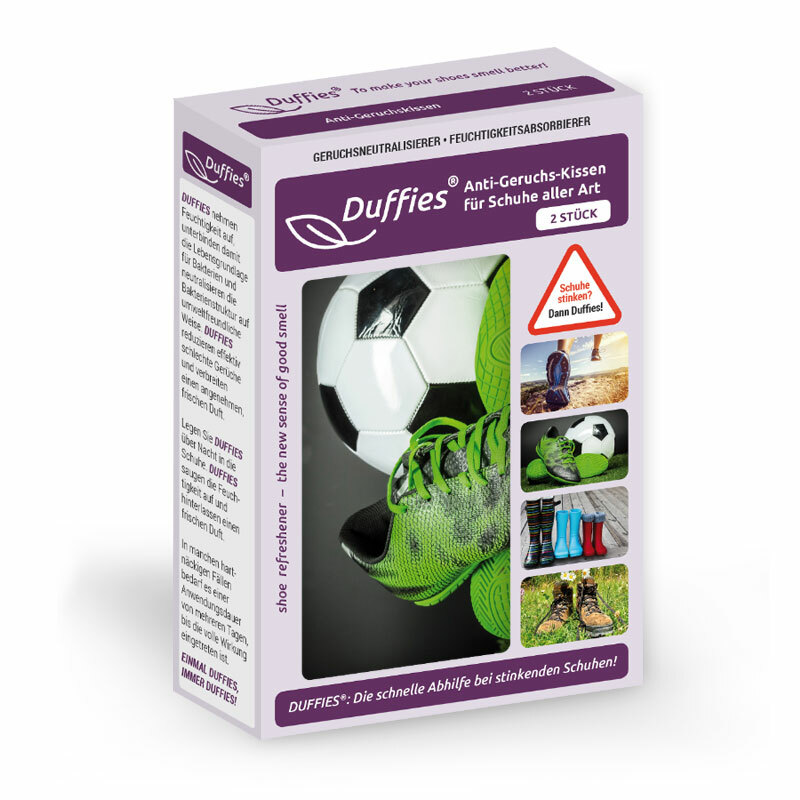 DUFFIES®: A quick & effective solution in case of smelly shoes! 1. MOISTURE ABSORBER: Absorb moisture, thus preventing the bacteria’s lifeblood and neutralizing the bacteria structure in an environmentally friendly manner. 2. 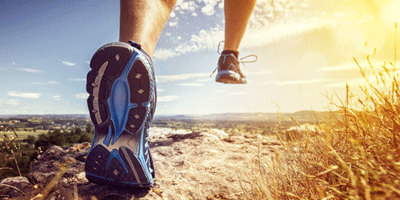 ODOR NEUTRALIZER: Effectively eliminate bad odors. 3. 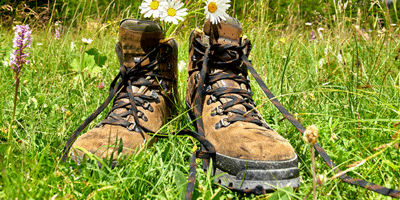 SHOE REFRESHENER & DEODORIZER: Spread a pleasant, fresh scent. 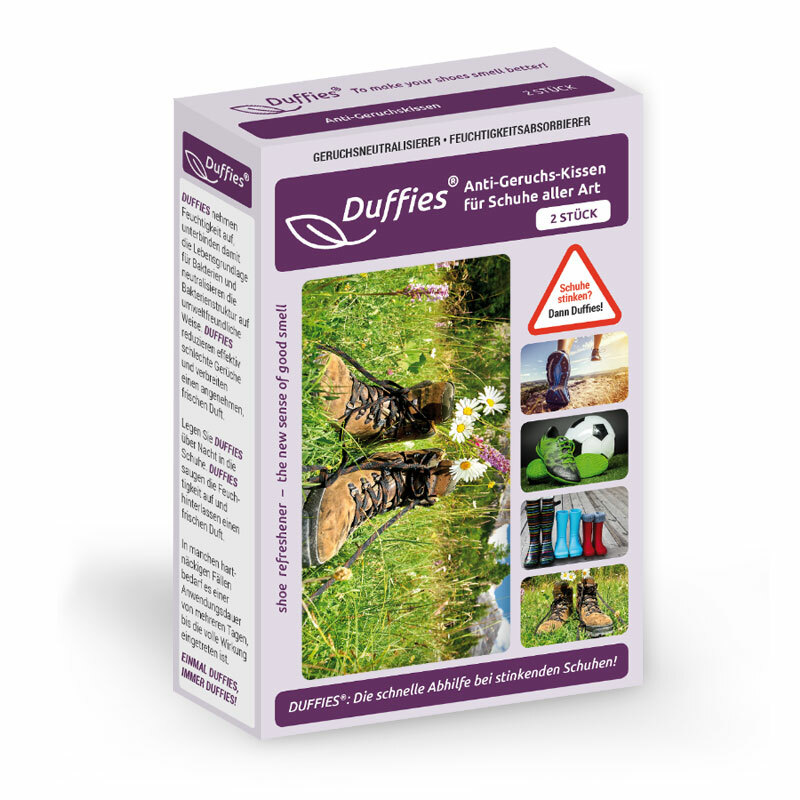 DUFFIES® are very suitable for shoes & boots, but also for gloves, sportswear, bags, cabinets, cases, cars etc. 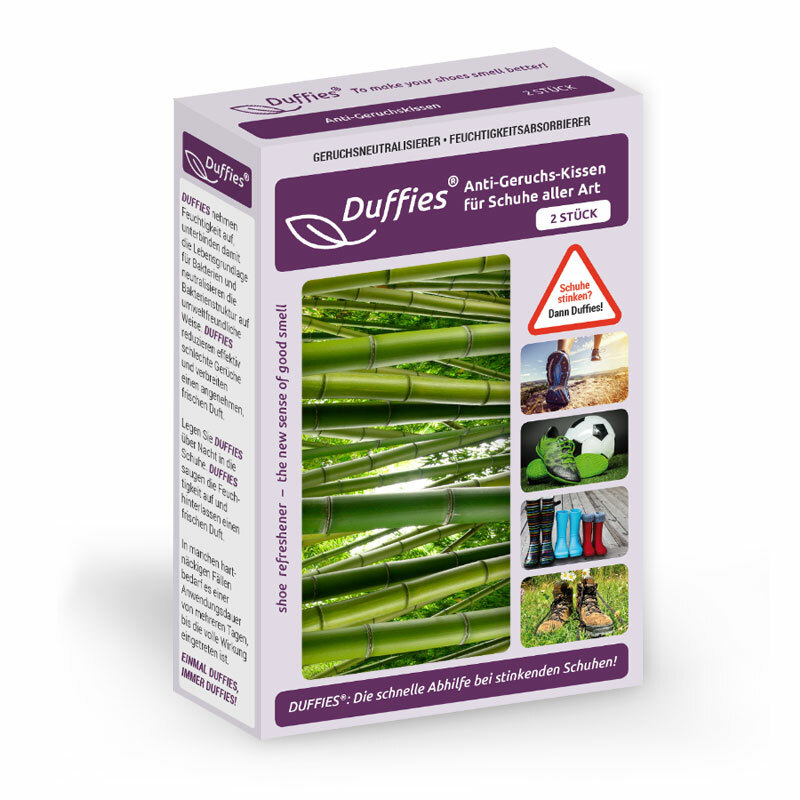 With the Power of Nature: BAMBOO activated CHARCOAL and SALT MINERALS. 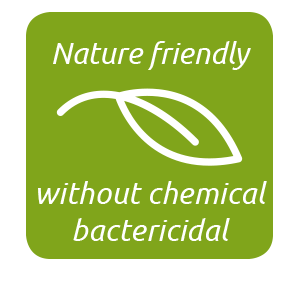 Without aerosols – no silver ions or chemical bactericides. 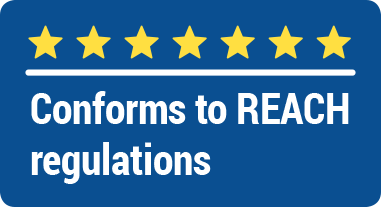 Ingredients fully complies with REACH regulation of the European Union. Examination “REACH conformity” in collaboration with BUREAU VERITAS. 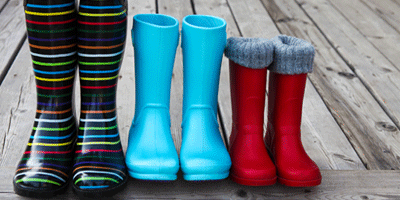 Just put them into your shoes overnight – done! 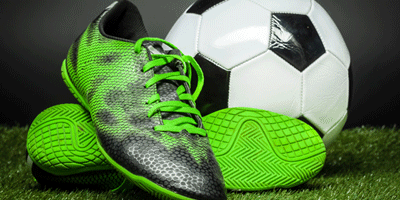 DUFFIES® are available in 6 attractive motifs – all with the same filling and the same effect!